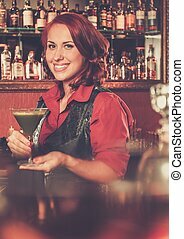 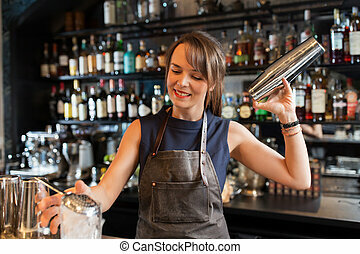 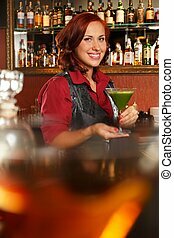 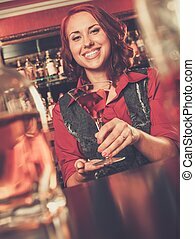 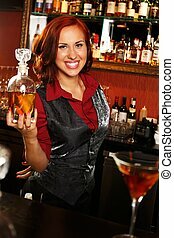 Cheerful barmaid with cocktail behind bar counter. 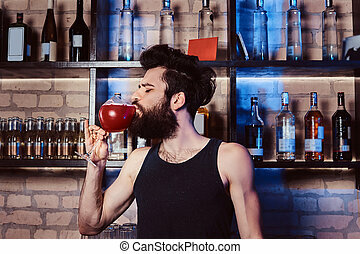 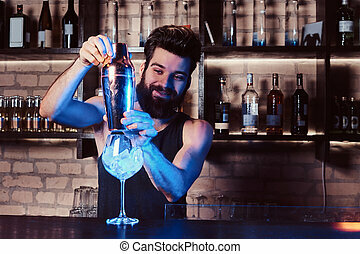 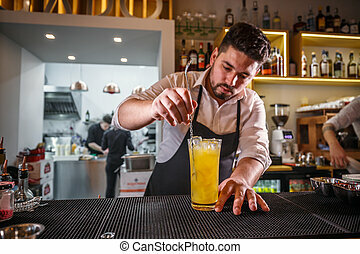 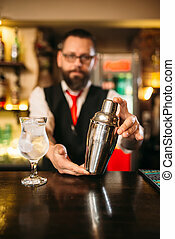 A handsome bearded bartender drinks a glass with Aperol spritz cocktail behind bar counter in the nightclub. 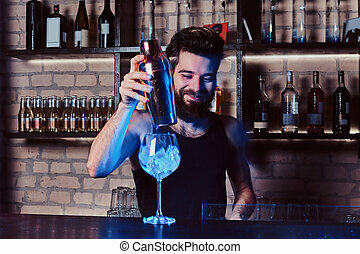 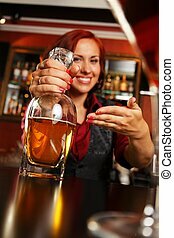 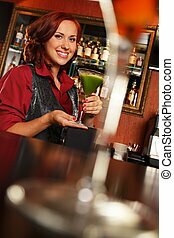 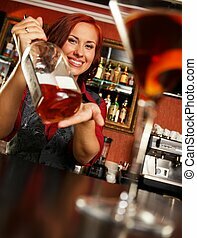 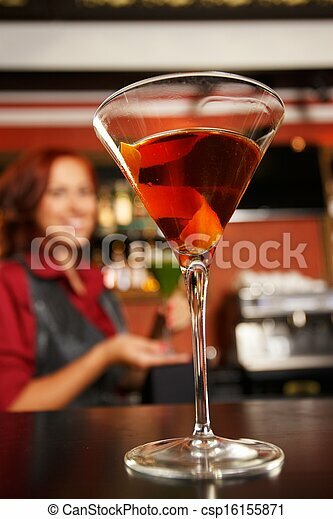 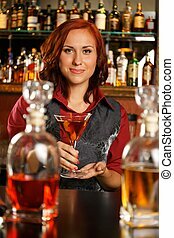 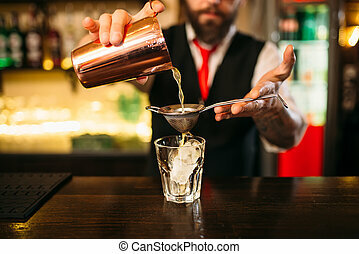 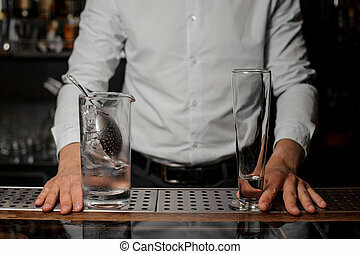 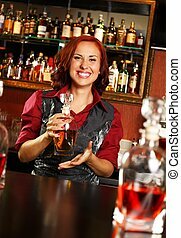 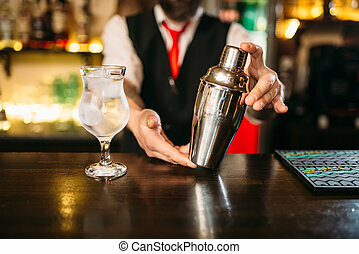 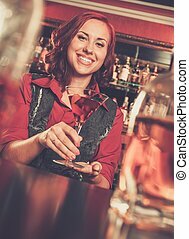 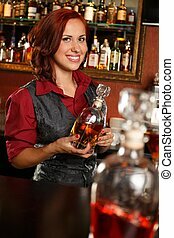 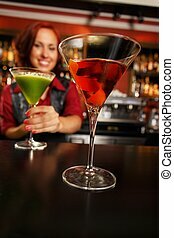 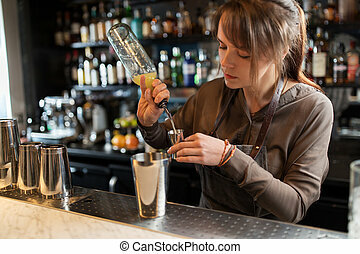 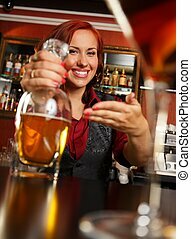 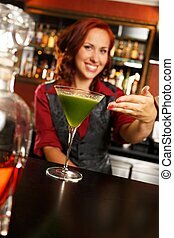 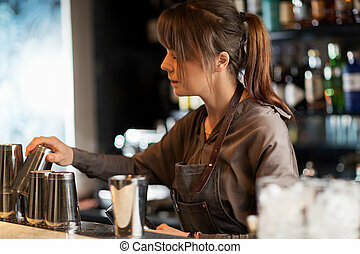 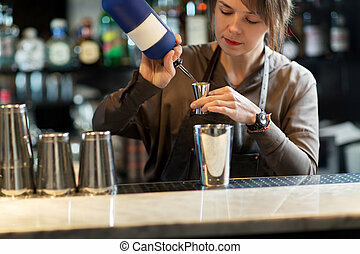 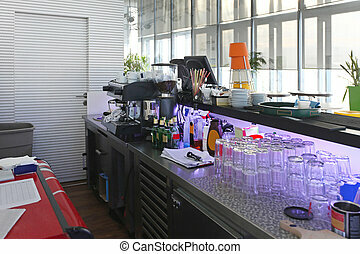 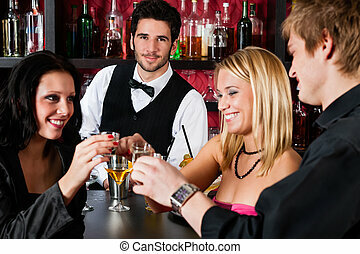 A cheerful bartender working behind the bar counter, making a cocktail in the nightclub.